I think I’ll disappear now. ~ by VJGoh on July 27, 2012. The lyrics are good … not really my cup of tea but I can still appreciate good lyrics. 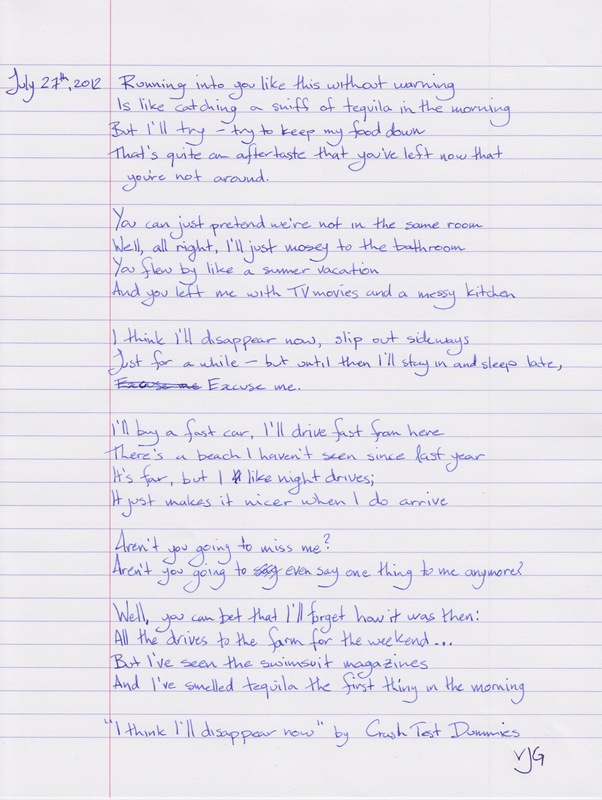 I really enjoy the idea of posting your handwritten lyrics online. I think I might have to try this … although my ramblings are a lot messier and confusing than yours 😛 Keep up the good work!